What dog food to feed a picky dog? What food flavors do dogs like? What is the best tasting dog food for picky senior dogs? 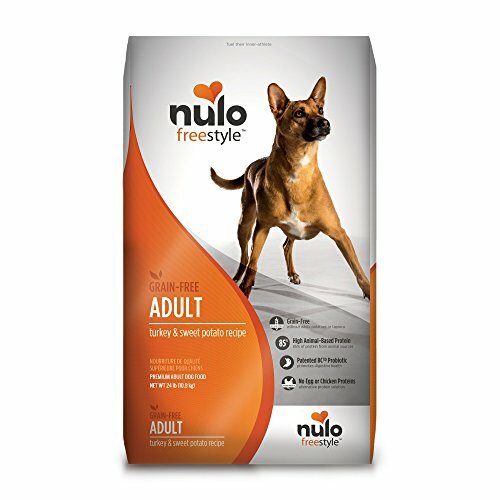 Best tasting dog food for fussy puppies? 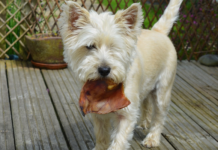 While some have dogs that will eat anything they can get their paws on, there are other dog owners who struggle to get their pups to eat anything at all. If the latter sounds like a situation you can identify with, then don’t worry, there are solutions. 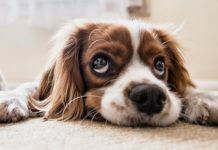 An explanation could be that your dog simply doesn’t like the kibble you are offering, or that they are sensitive to an ingredient in their current food. The best thing to do is to look for a kibble that is so delicious that they won’t be able to resist, while also containing enough nutrients to keep them healthy and strong. Knowing what to look for is important, and which products that are likely to appeal to your fussy pup. Finally finding the best food for picky dogs in your household can make all the difference and make your four-legged best friend happier than you have ever seen him before. This all-natural and grain-free kibble is bursting with flavor – flavor that few dogs can resist, no matter how fussy they usually are at mealtime. It has protein from deboned salmon, fish meal and chicken meal; making it a tasty dog food for picky eaters that fulfills their daily energy needs. Wholesome vegetables provide vitamins, minerals, and antioxidants, and there are no artificial flavors, colors or preservatives! This gives the kibble a rich taste which a regular grocery store brand can never compare to, and the LifeSource Bits that Blue Buffalo mixes in with their regular kibble provides your fussy pup with all the nutrients he or she needs to stay healthy and strong. 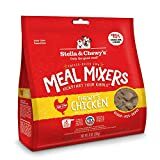 In the hunt for the best tasting dog food for picky eaters – this product is a must-try, and something you will want to consider. 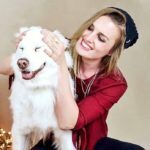 Why We Like It – Finding the best tasting dog food for picky dogs is a challenge, that is for sure, but nothing compares to the taste of real meat. This is one of the tastiest dry dog food products you can find at an affordable price; one which few dogs can resist, and it is full of nutrients that can help boost your furry friend’s immune system and overall health. The best dog food for a picky eater is simply something that they will eat, and that will provide their bodies with the nutrients they need to thrive. 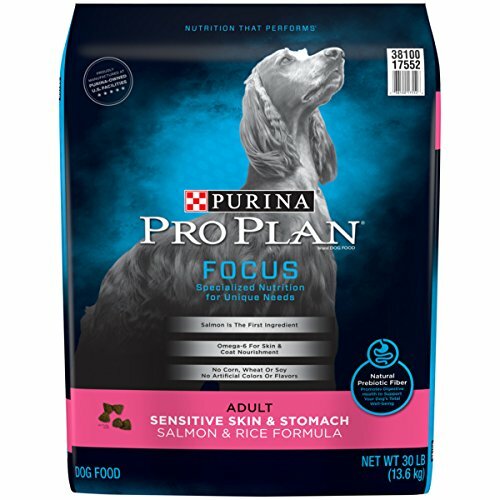 A low appetite can sometimes have its roots in a stomach issue, or a sensitivity to certain ingredients, which is when a mild good tasting dog food – such as this Purina formula – can come in handy. While a veterinarian should always be consulted when suspecting a medical issue, once that has been done, a dog food like this is worth a shot. It has salmon as its first ingredient, which is a mild protein source, and it contains prebiotic fiber for digestive health. There are no poultry or animal by-products, and it is free from soy, wheat, and corn, as well as artificial color, flavor and preservatives. Why We Like It – Try a new approach when trying to convince your dog to eat, with one of the best tasting dog foods for dogs with sensitive stomachs. Perhaps what you’ve been feeding your pup gives him or her a stomach ache? It is worth a try to switch to something milder. A limited ingredient formula such as this dog food for picky dogs gets its high protein content from a single animal source, which can be beneficial for pups with food allergies and/or sensitive stomachs. This wet diet food has turkey, duck, lamb or salmon as its first ingredients, depending on which flavor variety you choose, followed by a delicious mix of vegetables, fruit, berries, and seeds. 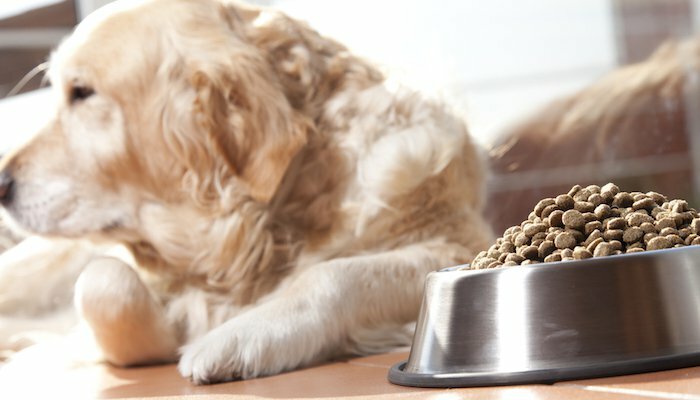 Why We Like It – When choosing dog food for picky eaters, many desperate owners turn to the first thing they find that their pup will eat, even if it is low quality. This meaty option is a complete and balanced meal for dogs all sizes and ages, and a great alternative to grocery store wet foods that tend to be less nutritious. You do not have to sacrifice quality just to get your fussy friend to eat. Find more fantastic and cheap dog foods here. You still haven’t found the best tasting dry dog food for your four-legged best friend? Then perhaps Nulo could be something for you! 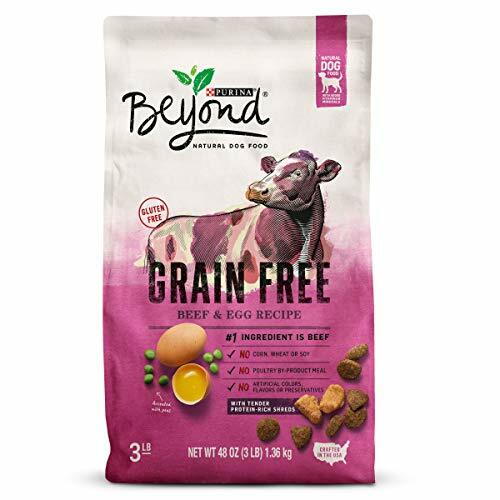 They use real meat in their products to provide quality protein, and it has an intense flavor that will have your dog feel almost like they are sinking their teeth into a big chunk of lamb, salmon or turkey. There are no grains in this Nulo product, and it is also free from chicken, egg, soy, corn and artificial additives. The patented Bc30 Probiotic aids with digestion; making sure your pooch feels so great on the inside that he or she will be begging for another meal! A tasty dog food isn’t always enough to convince a fussy eater, but this dog food goes out to care for a dog from the inside and out, by including only lean and gentle ingredients for a happy doggy tummy, and an increased appetite. Why We Liked It – This food for picky dogs cares about your pup’s wellbeing, and they have created a revolutionary formula full of mild ingredients to care for the stomach and digestive system of your furry friend, so that he or she will feel good enough to gulp down food at both breakfast and dinner time. Choose between three tempting flavor varieties; Beef & Egg, Chicken & Egg and Tuna & Egg, and discover the benefits of a product that is both gluten free and made without soy, corn or wheat. It is crafted in the United States and contains 27% protein, which is enough to keep your canine companion going for a full day of fun and activities. For a picky dog food can quickly become an issue; something that could leave your buddy low on energy and motivation, but this is among the best tasting dog kibble available – designed and formulated to appeal to even the most stubborn little furballs. The manufacturer promises that every ingredient listed in the ingredients’ list can be traced back to trusted sources, which should give you peace of mind – knowing that your pup is receiving quality nutrition. Why We Liked It – An affordable and tasty dog food for finicky eaters, which lives up to the expected standards of a balanced kibble for adult dogs all breeds and sizes. The composition is simple, with a focus on the right ingredients. Rachael Ray is known for using only dog food ingredients that she would use in her own kitchen, with the explanation that every dog deserves to eat well. A dog can’t get take-out or head to a restaurant with friends – they are stuck with what we feed them, and Rachael Ray and her dog food company understand that this means that we need to provide them with a high-quality diet. This tasty dog food comes in three flavor presentations, and kibble is mixed with dried fruit and vegetables that you can actually see. It has real meat listed first on the ingredients’ list, which is important, and it might as well be the best tasting dry dog food for picky eaters out there! Why We Liked It – The attitude with which this kibble is made is very inspiring, because our dogs do deserve great food that they will love and that will also be good for them. As a plus; a percentage of the profits are donated to animal rescue organizations in the United States! It is the best dry dog food for picky eaters that want to help other pets in need with every kibble bag purchased. Dogs may have been domesticated now for a very long time, but it does not change that they were once wild animals – closely related to the wolf and that their nutritional needs remain similar to those of a meat-eating mammal in the wild. This dry dog food for picky eaters offers a wonderful mix of protein-rich meat that is so full of flavor that no artificial flavors are needed and a healthy mix of greens. It is grain-free and nutritious and does not contain any unnecessary fillers or low-quality protein sources like animal by-products. Choose between chicken, beef, lamb, and salmon, and see how your four-legged fur pal suddenly becomes a lot more interested in finishing whatever is put in his plate. Why We Liked It – It is nice to see dog food manufacturers take a dog’s genetic background into consideration, and the perfectly calculated blend of protein-rich meat and natural vitamin sources possibly makes this the best dog food for picky dogs, thanks to that and its intense flavor. This product has completely cut out any artificial flavor, color, and preservatives, and replaced it with natural ingredients bursting with real flavor. The fish is full of amino acids and protein; helping your dog to stay lean and healthy, and the fish oils add shine to the coat and keep the skin soft and elastic. 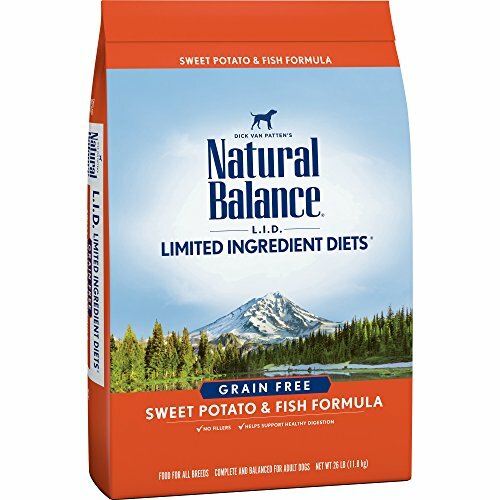 Why We Liked It – Natural Balance keeps it simple with this dog food picky eaters tend to love! No fillers or artificial ingredients, and plenty of delicious fish to make it a healthy dog food that tastes good. 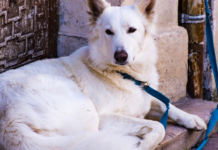 If your dog does not seem interested in food – especially if the disinterest appears suddenly – you will want to consult your veterinarian before starting to experiment with kibble. 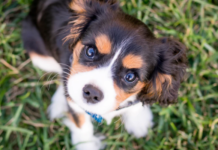 Have them rule out a medical condition causing the lack of appetite, and once that is done, you can start your search for the best tasting dog food to help motivate your pup to want to eat. When looking for dog foods for picky eaters – flavor is the main aspect to look at. However, you don’t want to have to compromise on quality, so let’s have a look at what you should keep in mind when trying to find a delicious kibble or wet food, that is also good enough to provide your fur bestie with the proper nutrients for a long and healthy life. You have probably walked through the dog food aisle at the supermarket; with all those kibble bags showing pictures of big chunks of meat, fruit, and vegetables, and possibly thinking that it sounds like a delicious meal for a dog. The truth is that there is a big difference in a product tasting like for example beef, and a product actually containing beef. Many low-quality products use artificial flavors to give their kibble an appealing taste, even though it may not actually contain enough (or any) if the advertised ingredient. Always check the ingredient list, and make sure that the flavors announced on the bag come from a quality source, and that the product you choose to purchase is free from artificial flavors. Dogs are intelligent animals, and if your pup isn’t eating, it is possible that they have seen through the marketing tricks and the artificial flavor added to trick both dogs and owners into thinking that a food is better than it is. Natural flavors from real quality ingredients are what you should want for your fussy eater, and while that does not mean that it should be dog food that tastes like human food – it should at least contain what it advertises. A dog’s body needs protein to function properly, so you want to double check that the dry food for picky dogs that you are considering contains enough. You can see this by having a look at the list of content, usually found on the bag, or specified on the website you are browsing. Pay special attention to the first and second ingredient, since a high-quality kibble should have an identified meat product listed first, and if possible also second. Look for named meats like lamb, beef, chicken, turkey, and salmon, since these are considered good sources of protein for a dog. Meat meals, like the chicken meal and fish meal, are also considered protein-rich ingredients, but you should stay away from anything that says “by-products” since there is no guarantee for these containing enough quality protein. Protein directly affects your dog’s energy level and general health, and since canines are meat eaters – a high meat content is among the best motivations a dog can get when it comes to eating. If the kibble has enough real meat, your dog will be able to taste it (and smell it). As hinted at above; a stomach issue could potentially be the reason to why your dog seems so reluctant to eat. Perhaps there is something in his or her food that upsets the stomach – causing discomfort – and who wants to eat when they are not feeling well? If your veterinarian has ruled out any serious issues, it could be worth a shot to try a limited ingredient kibble; possibly without chicken, egg and dairy, which are known to irritate the stomach lining of some dogs, or even cause allergies, to see if you notice any difference in their general appetite. Fiber is great for digestion and can be found in ingredients such as sweet potato, lentils, and other fruits, vegetables and legumes. Many of these natural ingredients are also rich in vitamins, minerals, and antioxidants, which all help the canine body to stay strong and healthy, and function as it was meant to function. Appropriate picky eater dog food is a mystery within itself since no dog is the same and since it might take a few tries before you find the best tasting puppy food for picky eaters in your household. 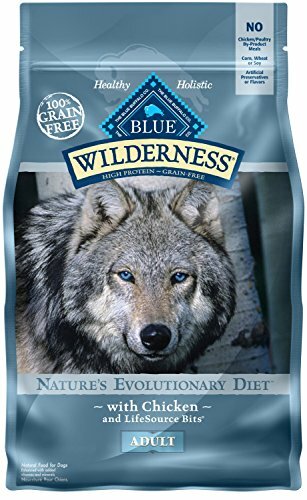 There is no straight-forward answer, but a good dog food for picky eaters is, for example, the ‘Blue Buffalo Wilderness High Protein Grain Free’, since it is packed with real meat that gives it an irresistible and strong natural flavor. The simple answer is that dogs like meat flavors since they are – by nature – meat eaters. What type of meat they prefer might be very individual, but good flavors to test out are the duck, lamb, beef, and salmon since they all have a strong flavor to tempt the refined taste of a fussy eater. Just remember to look for natural flavors (a good indicator is a meat listed as the first ingredient), rather than artificial supplements. 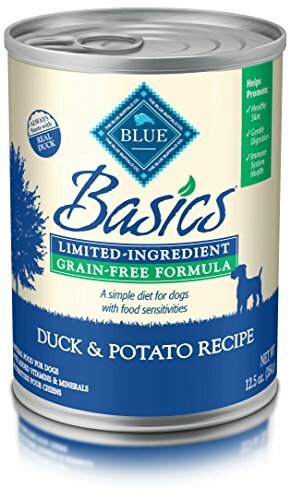 The ‘Blue Basics Limited Ingredient Diet Grain-Free’ is suitable for dogs of all ages, including seniors, and it has all the nutrients to provide an aging dog with adequate nutritional value. A great product is this Orijen senior dog food which you can read more about in our completed review. Some older dogs have trouble chewing, due to teeth loss and/or gum disease, which is not a problem here since this is the best “canned” dog food for picky eaters. 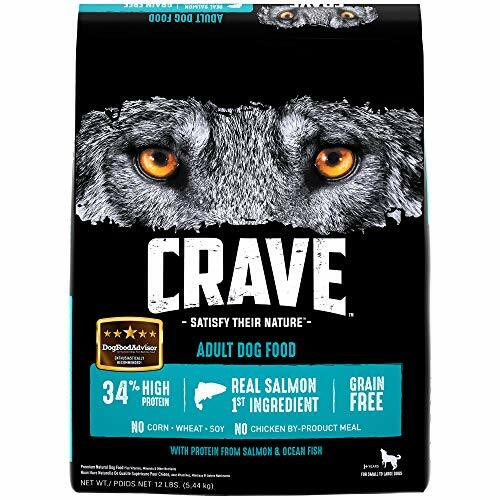 If you rather feed your senior kibble, then we recommend the ‘Crave Grain-Free Adult Dry Dog Food with Protein’ for its incredibly rich flavor. 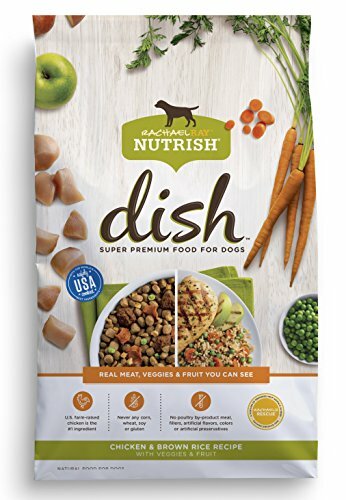 A natural and delicious dog food suitable for puppies is the ‘Rachael Ray Nutrish Dish Natural Dry Dog Food’ – great for dogs all ages. This means that you can start feeding it to your puppy and continue to feed the same as the puppy grows and develops. 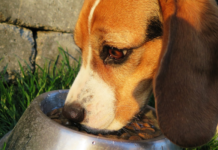 Dog food for picky eaters reviews makes a good indication of what kibble and wet foods that have worked for other families, but no dog is the same and in the end, it comes down to the individual preferences of your fussy pup. Be prepared to try a few different products before finding the right one, but if you do your homework and investigate before purchasing a product – you are a lot more likely to get it right already on the first try. You may want to give good old natural freeze-dried dog foods a try. A picky eater needs motivation, and the best motivation you can provide them with is by purchasing a dog food with enough protein from quality meat sources to taste- and smell great. Even the pickiest of dogs won’t be able to resist a kibble that tastes like a big and juicy steak, and you will notice an improvement in their appetite almost right away. Don’t fall for pretty packages and photos of meat and vegetables, but instead make sure you read the ingredients’ list to make sure the product is truly what it makes itself out to be. Some dogs get bored easily with food, especially if always fed the same, and might need a change every now and then to stay motivated. For these dogs, it is a good idea to pick a kibble that comes in several flavor varieties, so that you can switch it up without having to change kibble entirely.